With winter in full swing, many outdoor home projects have been put on hold until the spring. Many homeowners turn towards their interior projects to keep themselves occupies over the cold winter months. The snow storms can get pretty bad, and some may find themselves shut in for a day or two. What do you do if you want to clean, but are out of cleaning products and can’t get to the store? Turn toward you kitchen cupboard. 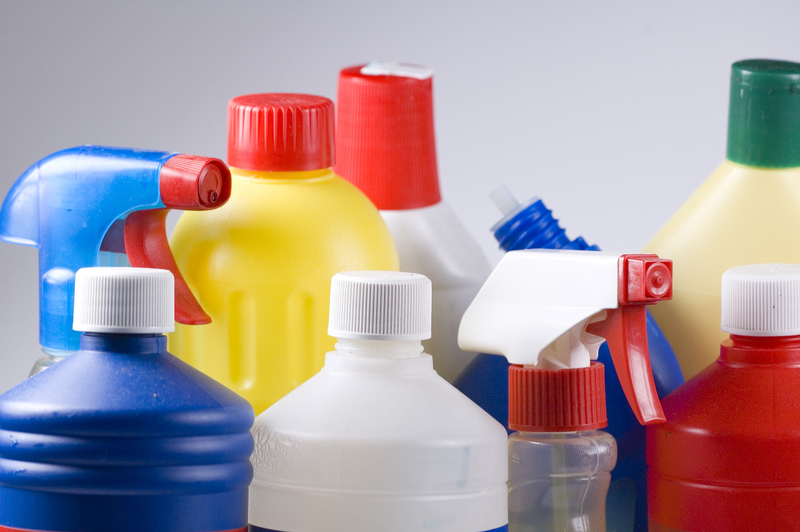 You will likely be able to find some very effective cleaning products without trying very hard. Many common household items can be used to effectively clean up your home while you are snowed in. Not sure where to start? Below are a few household items that can be readily turned into effective cleaners in the blink of an eye. Vinegar, both diluted and undiluted, make great cleaning agents. Both will make quick work of hard water and soap scum. Vinegar is a great cleaning agent to use in the bathroom, and should naturally help in the deodorizing process. Baking soda is an effective cleaner that many people will be able to find in their kitchen cupboard. The natural granules make it a great substitute for a scrubbing cleaner. All you have to do is put some in a wet cleaning rag, and go to work. It is very effective in tubs and sinks. Additionally, baking soda is very well known for its deodorizing qualities. Instead of spraying air freshener into the air, you can tackle the smell at its source with baking soda. For example, if something in your living room is giving off an unpleasant odor, like your couch or carpet, you can help curb the odor with baking soda. Liberally spread the baking soda over the source of the smell. Let it sit for a while, and then vacuum it up. The smell will likely be gone, or at least reduced in intensity. It’s hard to deny the cleaning properties of isopropyl alcohol. In addition to disinfecting an area, rubbing alcohol can really help to clean up a surface. When mixed with water and a touch of vinegar, it is highly effective at cleaning glass surfaces. If you live in an area that is prone to inclement weather, chances are that you will experience some foul weather this winter. If you find yourself snowed in, you can clean up your home quite nicely with ingredients that you likely have in a cupboard.